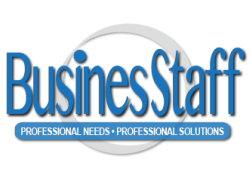 With more than 22 years of hiring, placement and recruiting experience, BusinesStaff has you covered. ​We are real people, helping real people, the “Road less Traveled” in today’s high-tech digital world. We know it’s still about direct relationship building. We won’t waste your time with a flooded inbox and resume overload. Today's HR department is overloaded and under the gun. We know that and we deploy best practices and always generate great recruiting results you can count on. By using a flexible approach and an extremely reliable process we expect virtually guaranteed positive outcomes. BusinesStaff has one goal, deliver results that create quality recruits for your review and potential team members that easily integrate and contribute a significant long-term positive impact to your company's bottom line. 22 years with a successful track record speaks for itself! Our developing, managing, recruiting and retention of top talent guarantees your complete satisfaction across a broad range of industries and complex business environments. Specialties include the areas of I.T. information technology, Executive leadership, C level positions, Engineering and every faucet of Sales with an emphasis on Social media, Digital marketing and Finance. We are detail oriented excel in streamlining and facilitating the process with an emphasis on professional communication. • Develop exact criteria for positions required and develop a clear understanding of the company culture, review current and past hiring strategies through the advisory process with HR management. • Design appealing and descriptive job descriptions designed to attract the best candidates possible. By using the latest technology platforms and the social media process to thoroughly search out the talent you want including tapping our deep network based on 20 years of successful relationships and connections. Deploy our data mining processes and optimized ad placement we guarantee quality hires and placement exceeding all expectations. BusinesStaff has a 99.8% success ratio on placing candidates and unheard of success rate. • Direct contact and phone screening with deep vetting of all candidates, testing and behavioral assessment when requested insure your company complete confidence prior to the first interview. • Guiding every step, we help with scheduling interviews, confirming interviews, extensive prep of candidates, post follow up and offer negotiations when requested. We seamlessly integrate into your process. You can trust us with your next executive job search. We know people. When placing top executive positions and high level requirements we can help you with everything from VPs, CIOs, CMO's, CFOs, CTO's, COO’s, CEO’s and more. We do what it takes to handle your needs. We have vital connections and we know how to build relationships. We know where the unadvertised jobs are before anyone else. Our peer group is invaluable. We can guide you all the way through the process, help you with interviews and help you land the job of your dreams.